Erambala Krishnan Nayanar was a prominent leader and a member of the Politburo of the Communist Party of India (Marxist). He holds the distinction of being the longest-serving Chief Minister of Kerala, having held office for three terms, during 1980–81, 1987–91 and 1996–2001. He was in CM’s office for more than 4,000 days in tenure of 11 years. 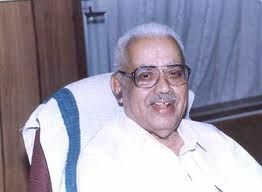 E. K. Nayanar was born on 9 December 1918 in Kalliasseri in the Madras Presidency during British India. His father Govindan Nambiar was a very orthodox person, which made Nayanar look towards the liberal and progressive thoughts of his cousin, K. P. R. Gopalan who took up the cause of education of people from the lower caste and class. Later Nayanar joined Balasangham and participated in the student movement to an extent that he had to drop out of his school. He was also influenced by the socialist ideologies of leaders such as P. Krishna Pillai. Nayanar opened a library in the name of an oppressed caste person who was tortured to death in Kannur prison for his participation in national movement. He joined the Communist Party of India in 1939 and participated in many movements such as the Aaron Mill workers’ protest, Morazha rally in 1940, and peasant uprisings in Kayyur. These activities had serious consequences and he was arrested and imprisoned; he also had to go in hiding for years. During this period he wrote for Kerala Kaumudi newspaper. When India got independence, the charges against him were dropped and he became the Secretary of Communist party at Kannur. When the party was banned by the government, he had to go underground. He was imprisoned in 1964 for being pro-China. From 1970 onwards, along with others he formed the CPI-M and became the party Secretary of Kerala. He became an MP representing Palakkad and in 1974 became MLA from Irikkur. Later he became MLA five times from different assembly constitutions. In 1958, Nayanar married Sarada who was the niece of his mentor K. P. R. Gopalan. In 1980, Nayanar became the Chief Minister of Kerala. The government was dissolved in 1981 and he became the leader of the opposition till 1987. In 1987, after election, he again became the Chief Minister. In 1996, he again became the CM of Kerala for the third time. The Kerala Coir workers Welfare Fund Act, 1987. The Kerala Khadi Workers’ Welfare Fund Act, 1989. The Kerala Abkari Workers Welfare Fund Act, 1989. The Kerala Construction workers’ Welfare Fund Act, 1989. The Kerala Ration Dealer’s Welfare Fund Act, 1998. Nayanar was journalist who wrote in Deshabhimani journal, a poet, and author who wrote in English and Malayalam. A few of his works are; His autobiography My Struggle, which he also translated in Malyalam as Samaratheechoolayil; Doha Diary, American Diary, My China Diary, Marxism-An introduction, Nehru-Gandhi A Study, and many more. In April 2004, Nayanar was admitted to the AIIMS New Delhi, for further treatment of diabetes, which worsened and led to kidney and heart failure. He passed away 19 May 2004. He was cremated at Payyambalam Beach, Kannur. He was one of those few political leaders who were genuinely concerned and connected with common people. Nayanar spent his lifetime in working for the downtrodden and bettering their lot. It was due to his efforts that Kerala became the state with highest literacy rate, in India.